Blend everything together and pour into a fun glass. You can garnish with a pineapple slice and a maraschino cherry if you have some around. This recipe is based on one of Martha Stewart‘s cocktail recipes. It makes one large drink that could easily be shared. 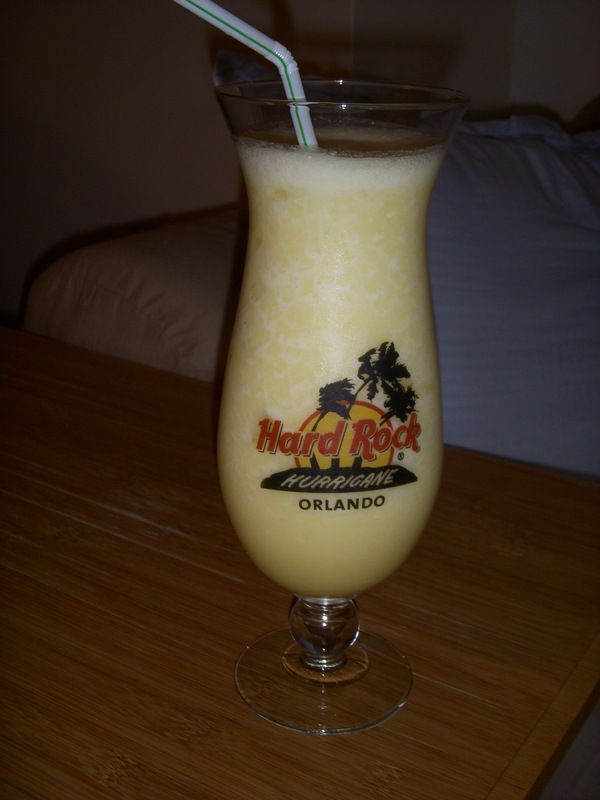 I saw a bunch of lower calorie options for Pina Coladas that I had been planning to try. I went with this more classical version because I thought Josh would like it better. (Cream de coconut is really high in fat. 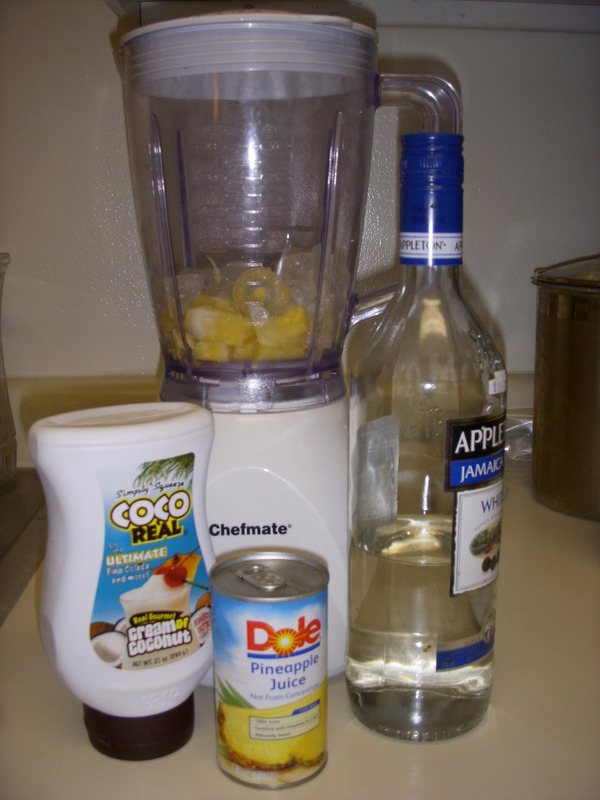 Many recipes substitute coconut water or coconut extract to get the flavor of coconut without the fat.) This recipe makes a lovely drink though I have had a hard time finishing the whole thing by myself!